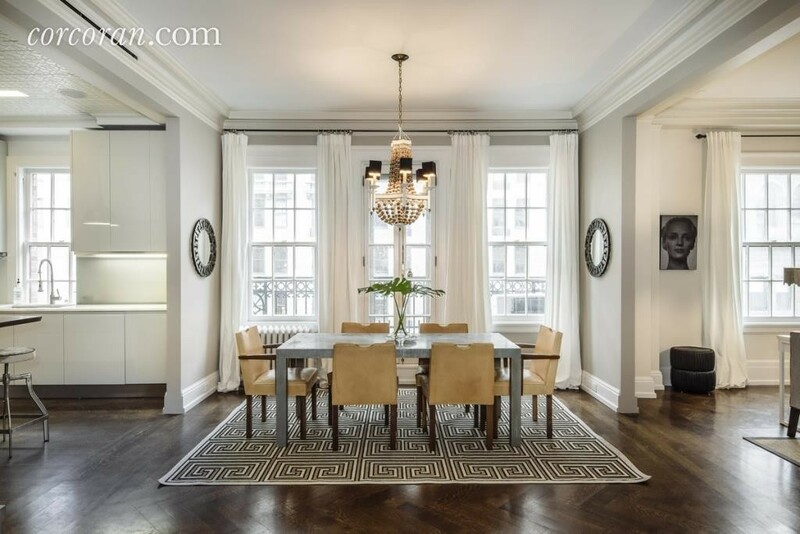 Mister Timberlake and Miss Biel have quietly made their New York City penthouse pied-a-terre available for purchase with an asking price of $7,650,000. 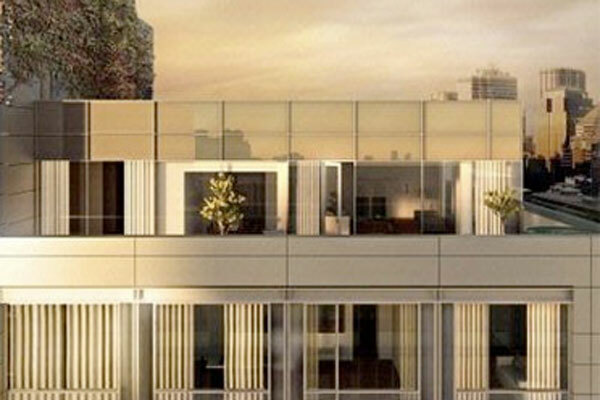 [ad#Google Adsense u tekstu]One listing shows the glassy, 2,598 square foot aerie atop the much-ballyhood, Gwathmey Siegel-designed Soho Mews building—picked up in November 2010 for $6,567,712.50—has actually been semi-covertly available, as of today, for at least 71 days without a single real estate gossip catching wind or word. 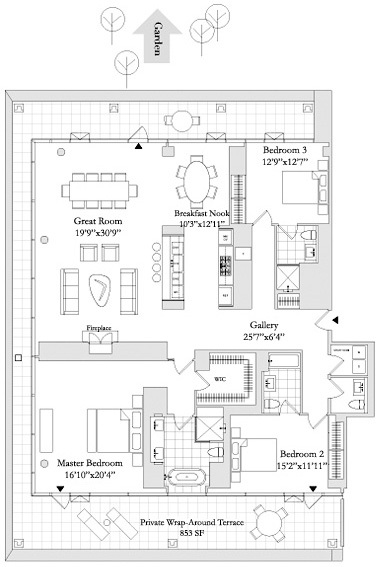 Current and past listing information shows the three bedroom and 3.5 bathroom penthouse has a 25-foot plus entry gallery that bisects the apartment and opens into a lofty, (nearly) 30-foot by 30-foot great room with gas fireplace, high (but hard hardly grand) 10’2′ ceilings, a sleek galley-style kitchen, and two long curtain glass walls that spill out to an 853-square foot wrap around terrace with Empire State Building Views. Two curtain walls of glass also wrap the north- and west-facing master bedroom suite complete with walk-in closet and attached private bathroom with two sinks, glass and marble shower stall and separate soaking tub set on a low marble plinth in front of a full wall of glass with western, roof-top view. The few photographs included with current, active online listings appear to Your Mama to be identical to the ones used in the listing from the time of the Tinseltown pair’s 2010 acquisition so the Armani Casa-style furnishings and day-core may or may not reflect the personal decorative proclivities and realities of Miss Biel and Mister Timberlake. Justin Randall Timberlake (born January 31, 1981) is an American singer, actor, and businessman. 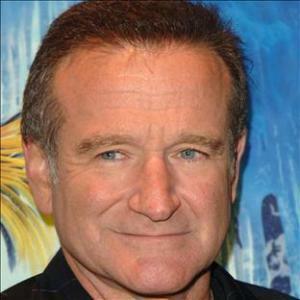 He achieved early fame when he appeared as a contestant on Star Search, and went on to star in the Disney Channel television series The New Mickey Mouse Club, where he met future bandmate JC Chasez. 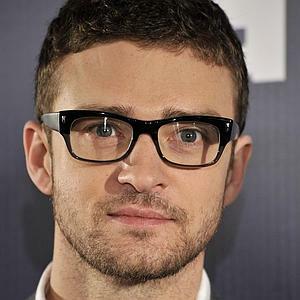 Timberlake became famous in the late 1990s as the lead singer and youngest member of the boy band ‘N Sync, whose launch was financed by Lou Pearlman.